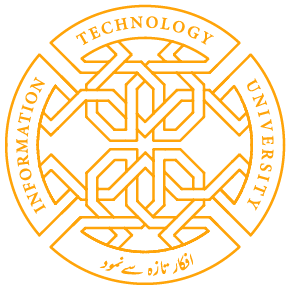 Information Technology University of the Punjab (ITU) has opened admissions for its Executive MBA in Information, Technology & Entrepreneurship (EMBITE) Spring ’19 session. It is the first program in Pakistan designed specifically to provide skills and knowledge to mid-career professionals who are interested in starting a new business or those who intend to grow their business. The deadline for the online application is 31st December 2018 and classes will commence on 26th January, 2019. The EMBITE is two-year long modular Executive MBA comprising 72 credit hours, made up of 22 courses (offered as modules) and a project, in accordance with the roadmap laid down by the Higher Education Commission. Candidates having 16 years of education along with two years’ of full time work experience will be considered eligible for admission. Classes are scheduled on the weekends (Saturday & Sunday) from 0900 hrs to 1700 hrs. The applicants can fill the online application form, and get complete information, by visiting the link: https://itu.edu.pk/admissions/embite/. Share the post "EXECUTIVE MBA IN INNOVATION, TECHNOLOGY AND ENTERPREUNURSHIP (EMBITE)"